The First Responder Chaplain Division of the Spiritual Care Association focuses on the spiritual dimension of professional first response practice including professional chaplains whose specialization is in this setting, community leaders serving as chaplains or spiritual care generalists for response teams, and all members of a first response team. The First Responder Chaplain Division supports the advancement of the spiritual care component of first response practice as an integral aspect of high-quality whole person care for all including the professional providing the care. Our mission is to support best-practice first response spiritual care and self-care through education and resources for professionals and first response-related organizations. All first responders will have access to high quality, practical spiritual care information. Professional chaplains specializing in spiritual care as a component of whole-person care will be recognized for their expertise. 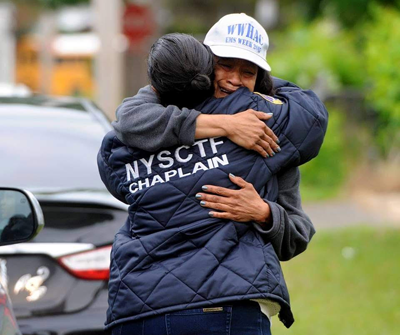 Community leaders serving as chaplains or spiritual care generalists as part of a first response team will be provided training leading to a certificate recognizing their knowledge and skill. First response-related organizations will work in partnership with SCA to improve health outcomes and support the health of professional care providers. The First Responder Chaplain Division of the Spiritual Care Association is perfect for you. Learn about the specialty practice of crisis, trauma, and first response and its spiritual care aspects of through resources, courses, and presentations from national and international experts. As you develop knowledge of spiritual care and strengthen your understanding of other faiths and cultures, you will also start to discover your inner self as you strengthen your personal spirituality. As a member of the First Responder Division of SCA, you will discover opportunities to find collegiality with chaplain colleagues and other first response professionals, work with a mentor or become a mentor to increase your confidence as a first response provider assisting emergency, crisis, trauma, and disaster organizations to integrate spiritual care into their services. 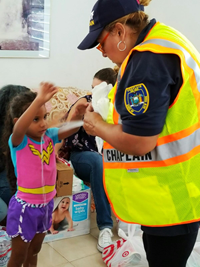 Be a force in moving high-quality first response services forward and support the future of practice that improves outcomes by including steps to honor beliefs and aspects of faith that influence the care of persons and the work of the first response team. You have a voice! To become a member, click the "Join now" button below. Membership is $95 annually and it includes all the member benefits listed above. During the registration process, select the “Professional – First Responder Chaplain Membership” to be added to the First Responder Chaplain Division of SCA. Click here to download our First Responder Chaplain Division brochure. The Crisis, Trauma, and First Response Certificate Course for Chaplains provides the basic and fundamental skills and knowledge needed in order to provide chaplaincy spiritual care to those people who have been impacted by an emergency, crisis, trauma, or disaster. Upon completion of this online, self-guided course, you will earn the Crisis, Trauma, and First Response Certificate. Click here to learn more.